Why Pray? 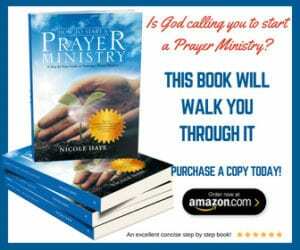 We’ve answered this question before by giving The Reason We Must Pray but after receiving an email concerning this topic we decided to revisit the topic of Why We Pray to God. Why pray? By the dictionary definition to pray is to speak to a god (in my case, Jesus) either privately or in a religious ceremony in order to express love, admiration or thanks or in order to ask for something. In order to ask for something… But if our God Almighty is omniscient isn’t He supposed to know it all? Isn’t He supposed to know already all the things I need? “Prayer is necessary because He wants to be acknowledged as God” was always the most popular explanation people gave me every time I questioned the need for prayer. But isn’t the desire to be acknowledged as God a little too petty, vain, and arrogant for Someone who is always described as forgiving, loving, and altruistic? Prayer has always been part my life; it is present in my earliest memories. My first recollection of praying was when I was about four years old. I had asked my mother how babies were born and she said all you had to do was ask God for one. After hearing my mom’s evasive answer, I ran to the kitchen, where nobody was around, and pleaded God in a whispery tone for a baby. Now I realize that that must have been my most powerful prayer because several months later my mother delivered the most precious baby boy I had ever laid my eyes on. For years following my first prayer, I curled up in bed every night and went through the list of my favorite people in the world (mostly my nuclear and extended family) and requested God to take good care of them and provide them with good health and clarity. Those days are long gone. The business and critical thinking that college brought to my life, paired with the philosophical discussions of Nietzsche writings have erased that bedtime ritual from my life. I haven’t prayed in a long time; and now, more than ever before, this pungent question invades my thoughts whenever I think about praying; Why pray? Prayer is the only way to have a personal relationship with God. Prayer is the means of communicating with God. To acknowledge God – recognizing that the only way to actually have God hear our prayers is through accepting His gracious gift of Jesus Christ as Lord and Savior (Genesis 17:1, Romans 6:16-18). To confess our sins and accepting His forgiveness(Romans 3:23-26). It is such a wonderfully freeing feeling to not have the burden of our sin on our backs. 4. To humble ourselves and ask for His will be done in our lives, that His Holy Spirit will guide us, and fulfill the purpose for which we were created. Everyone needs to have a sense of purpose or we will then be filled with hopelessness. 5. We pray to have true understanding and wisdom that can only come from God(Proverbs 2:6-8, 3:5). 6. We pray to release our daily pressures and burdens of living in this world and having a body of sin, Pray when we are sick, lonely, going through trials or interceding for others (James 5:14-16, 2 Corinthians 12:9-10). 7. We pray as an act of worship to God (Psalm 95:6-7). 9. Through prayer we develop intimacy with God. This is a closeness which can never be achieved any other way but through prayer. 10. As we pray we gain a heart of gratitude. We begin to see how blessed we are and how much God has already given us thus we become more joyful in life. We hope the list above has shown you how important it is for us to pray. Later we will talk about How to Pray. Take a look around our website for prayers for your every need.